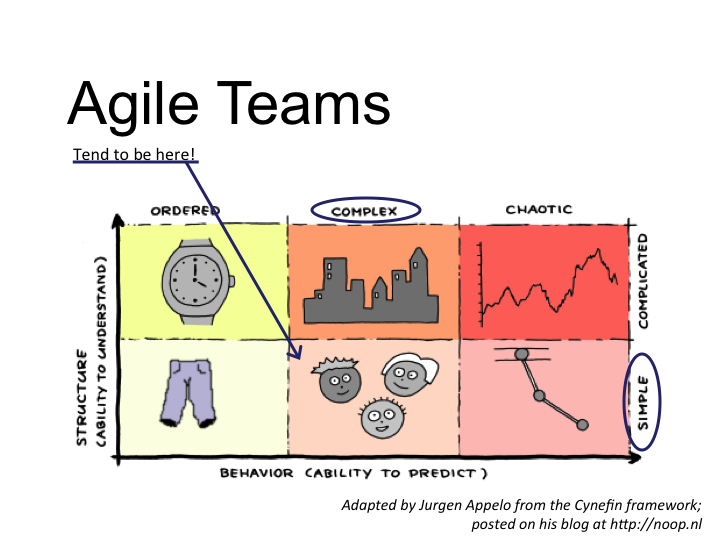 This entry was posted in Agile & Lean, Leadership and tagged agile leadership, complexity, cynefin, DAD, leadership, LeSS, optimization, SAFe, Scaling, Scaling Agile, social systems. Bookmark the permalink. Thanks Matt – I’m not opposed to cadences being locked, but it’s an orchestration problem that can be solved by the teams themselves and not needing to be imposed by any approach. Thanks for the input on the convo! Paul, I appreciate the cleverness of this model. 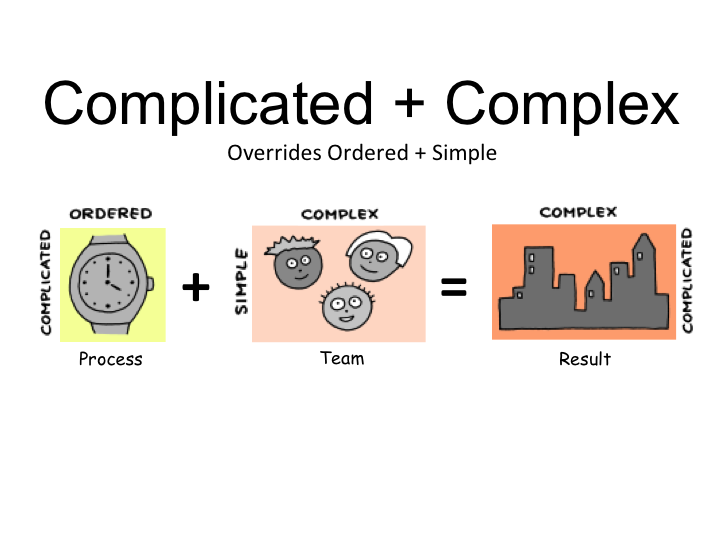 However, I find applying David Snowden’s Cynefin framework to this introduces unnecessary complexity to the issue. I find it easy to handle with a couple of relevant principles. 1. iterate faster to course correct and improve process faster. 2. for release dependent teams, have the synchronization be identical or a multiple of the shortest one, e.g. 2-weeks for some and 1-week for those able to cycle faster. One additional point, I have no problem making the Scrum overhead scale proportionately to the Sprint length. So there is no disproportionate overhead with shorter Sprint cycles. Of course, with new team just learning the discipline, everything takes longer until habituated. 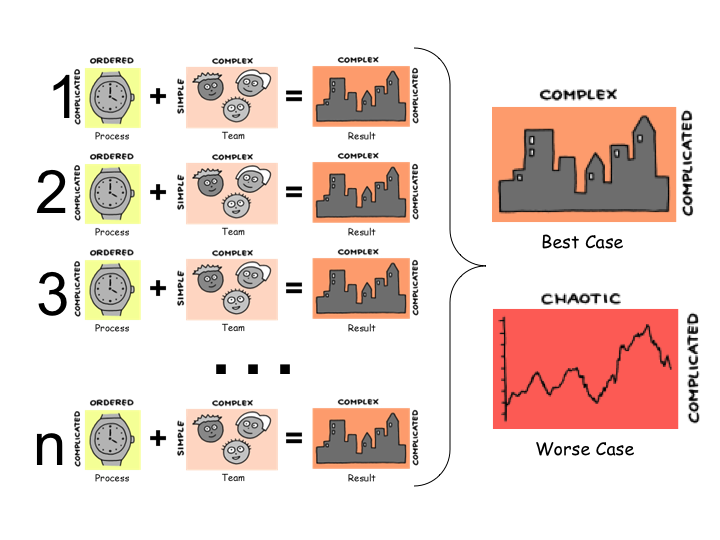 David Snowden’s Cynefin framework is intellectually intriguing, but I find practical problems can be more simply, effectively analyzed – part of which is reducing complexity to the essentials. 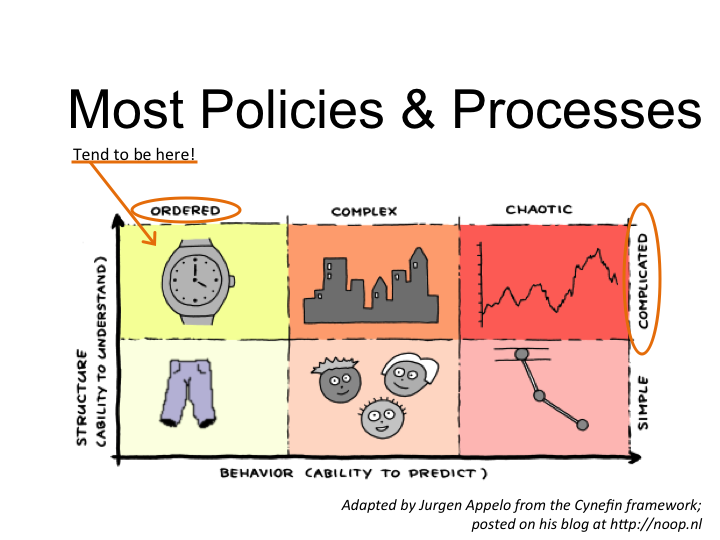 The point of using the Cynefin model, as adapted by Jurgen Appelo, has nothing to do with cadence locking per se. It has everything to do with what you force (install) on a team or not. 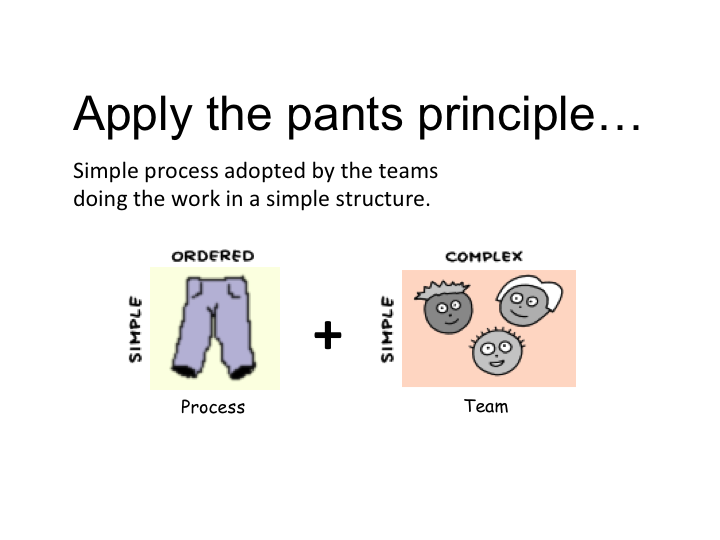 Since we’re dealing with a complex social system of teams, I’d suggest letting the teams determine what they think will work for them – if that is locking cadences, fine, they chose it. If it is something else, then let them run with it. Frequent retrospectives combined with the right level of authority will uncover an optimal solution for that set of teams that need to orchestrate their activities. So rather than prescribe any locking (regardless of length), let the teams decide together how they want to meet the need to regular demonstrate integrated working software.